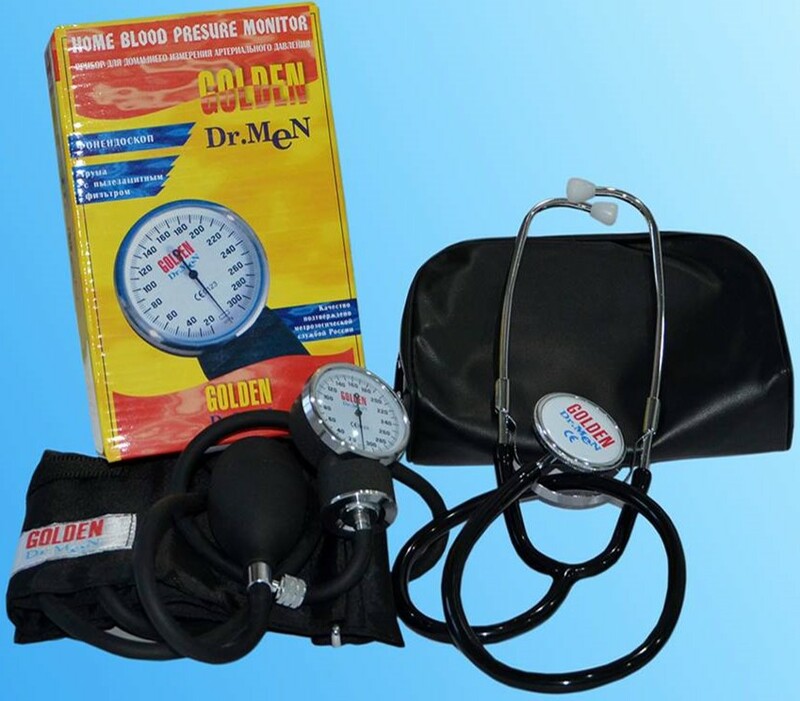 Sphygmomanometer, instrument for measuring blood pressure. It consists of an inflatable rubber cuff, which is wrapped around the upper arm and is connected to an apparatus that records pressure, usually in terms of the height of a column of mercury or on a dial. An arterial blood pressure reading consists of two numbers, which typically may be recorded as x/y. The x is the systolic pressure, and y is the diastolic pressure. Systole refers to the contraction of the ventricles of the heart, when blood is forced from the heart into the pulmonary and systemic arterial circulation, and diastole refers to the resting period, when the ventricles expand and receive another supply of blood from the atria. At each heartbeat, blood pressure is raised to the systolic level, and, between beats, it drops to the diastolic level. As the cuff is inflated with air, a stethoscope/phonendoscope is placed against the skin at the crook of the arm. As the air is released, the first sound heard marks the systolic pressure; as the release continues,a dribbling noise is heard. This marks the diastolic pressure, which is dependent on the elasticity of the arteries.